• Door zips and unzips for regular use. 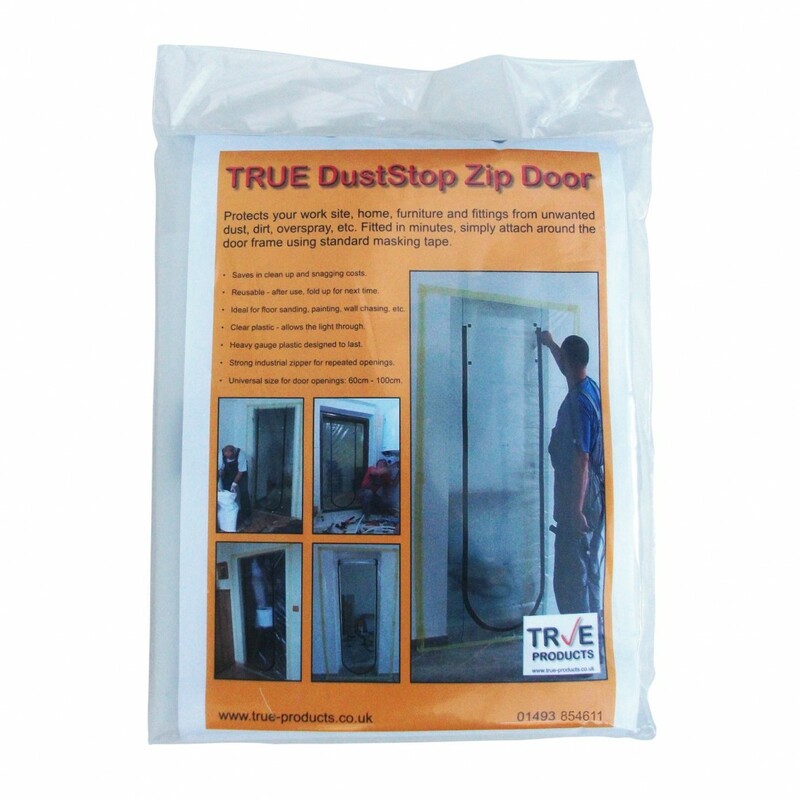 True Dust Stop Zip Door Kit. Made by True Products. 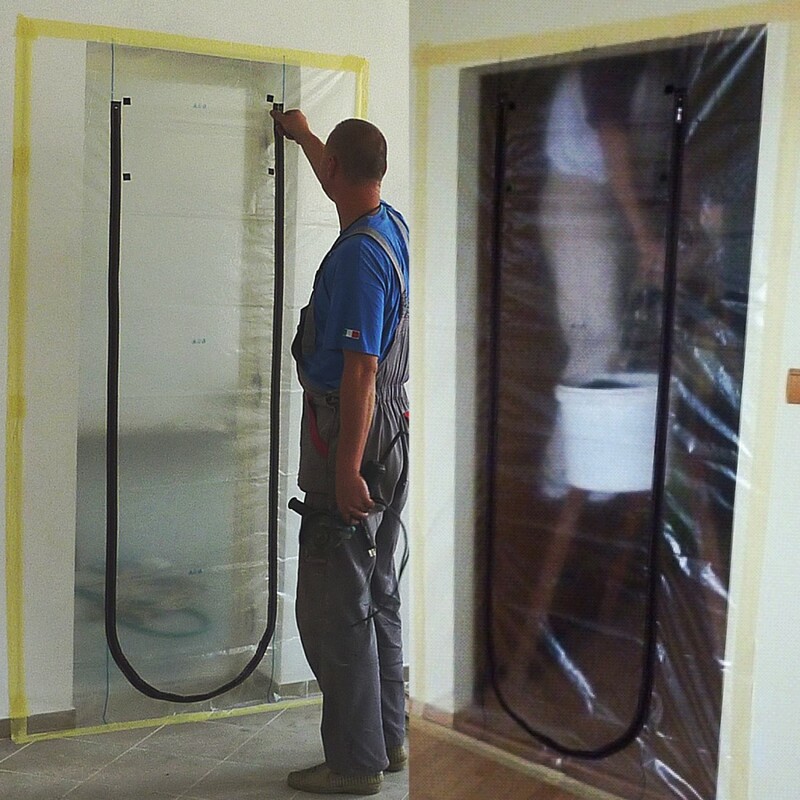 Stick on the True Dust Stop Zip Door Kit and make a dust sealed door in a doorway or a polythene sheeting temporary screen in just a couple of minutes. Door zips and unzips for regular use.